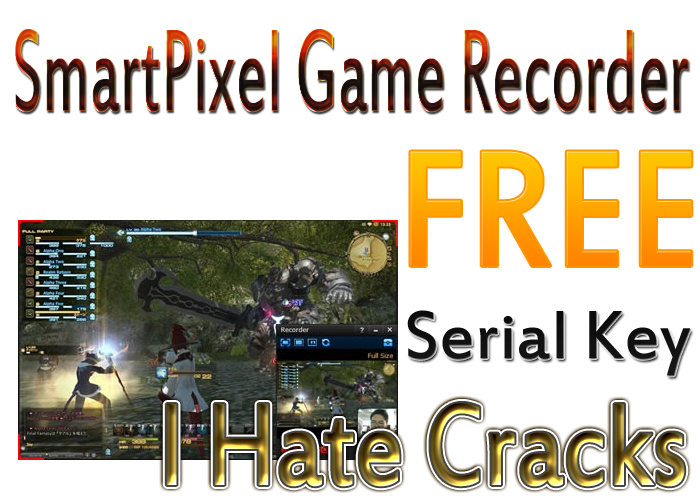 Get SmartPixel Game Recorder with free license/serial key. Yes, Each Microsoft Windows user can grab a free SmartPixel Game Recorder serial key to activate full/pro version of SmartPixel Game Recorder for through an official promo. Though, I have not yet tested/used SmartPixel Game Recorder, But After reading its official description, I am able to say that SmartPixel Game Recorder can be used as Camtasia alternative. Even It would not be wrong to say that this Camtasia alternative is better than Camtasia. In fact Camtasia is not designed specifically for recording full screen games and has some shortcomings, while SmartPixel Game Recorder is specifically designed for gamers to record games with an easy to use interface. As well as You can record desktop, create video tutorials, presentations and so on. In addition to recording games and desktop, SmartPixel Game Recorder also comes packed with a feature rich video editor. It supports nearly all games. SmartPixel Game Recorder is available in both free and pro versions. Pro version has some additional features. SmartPixel Game Recorder is designed for Windows XP, Vista, 7, 8 and Windows 10 users. SmartPixel Game Recorder Pro is available priced at $15.90. But for the next a few days, Download Smartpixel Pro from here and after the installation, Use following serial key to activate it for 365 days.